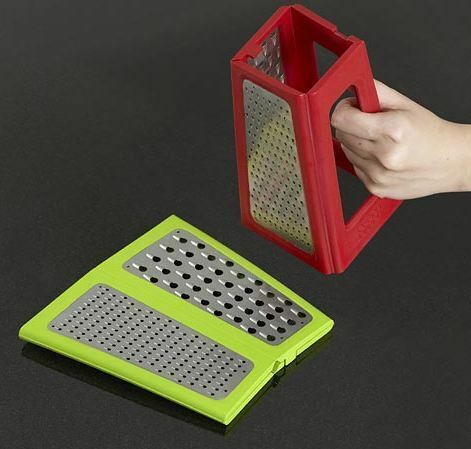 (26) This ingenious Fold Flat Grater ($20) not only looks great but folds completely flat for easy storage when not in use. When needed, simply unclip the locking catch to create a traditional-style box grater. The side grip handle makes grating over food easy.